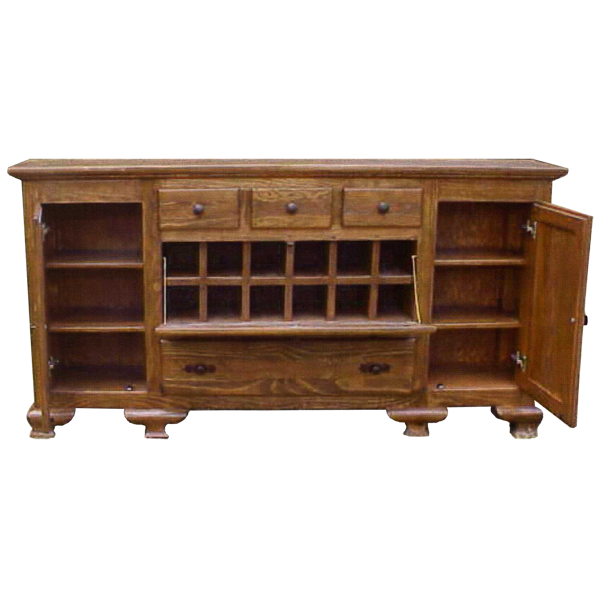 This handcrafted, Western style buffet has a lovely, light finish, but it can be customized with a finish that is appropriate for your home décor. Centered in the front of the buffet are three, small, horizontal, rectangular drawers, and each drawer has a hand forged, iron handle in its center. Directly below the centered, small drawers is a large, hinged, rectangular door that opens downward to reveal twelve, square, open spaces for storage. The door has a hand forged, iron, pull handle in its center. Below the large door is a wide, rectangular drawer with two, hand forged handles. On each side of the front of the buffet is a vertical door with a rectangular cut design, and each door has a hand forged, iron, pull handle on its side. Inside of each door are two shelves for practical storage. 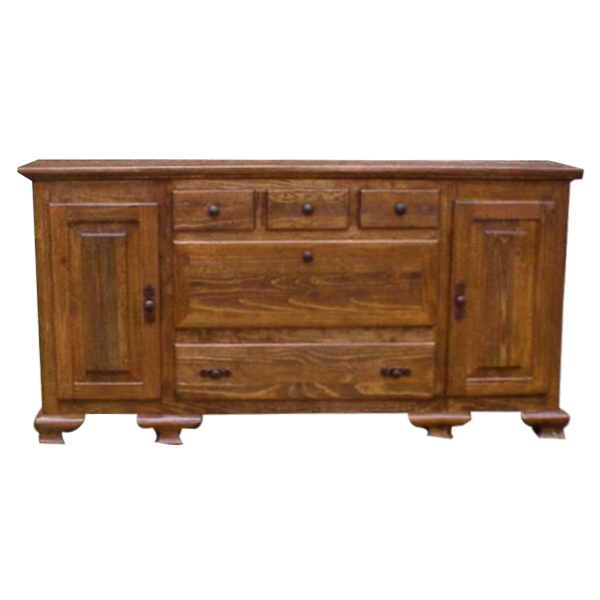 The buffet has a large, wide top, with a classic, straight top rim, and the buffet rest on eight, solid wood, sculpted feet. The buffet is made with the best, sustainable, solid wood available, and it is 100% customizable.